Last week’s show was a special fund drive edition. We played excerpts of the “Who Owns Music” panel discussion Suga’ sponsored earlier this year. If you can pledge for the DVD, you’ll get access to the full discussion and all proceeds go to WBAI and help us stay on the air. And, as always, even a relatively small pledge of $5 helps a lot and sends the message to station management that people want to hear jazz and will support it. Thanks for whatever you can do to keep us rolling along! Now let’s see what’s going on musically this week. Saxophonist Ravi Coltrane is at Jazz at Lincoln Center’s Dizzy’s Club on the 29th. The New York Chapter of the AACM’s monthlong 50th anniversary celebration at the Community Church of New York on E 35th St wraps up on the 30 with the AACM All Stars featuring Dr. Muhal Richard Abrams on piano. Poet jessica Care moore has an album release party at the Blue Note on October 30th. Trombonist and seashellist Steve Turre is at Iridium with a Rahsaan Roland Kirk tribute from October 30 – November 1. Pianist Vijay Iyer is busy right now. He kicks off a year-long residency at the Met Museum on the 30th, is at the Jazz Gallery on the 6 and 7 and presents the Veteran’s Dreams Project at the Met Museum of Art on the 12. Finally, vocalist Dee Dee Bridgewater is at the Apollo Theater on the 31st. Guitarist Marc Ribot is at the Village Vanguard from November 3-7 with Electric Masada, John Zorn and others and organist John Medeski takes the stage on the 8th with Simulacrum. Vocalist Catherine Russell is Columbia University’s Center for Jazz Studies on November 4th, where she’s joined by Columbia University Professor Farah Jasmine Griffin. Pianist and NEA Jazz Master Barry Harris and bassist Bob Cranshaw play the music of Miles Davis and Cannonball Adderley at Flushing Town Hall on November 6. That’s all for now. Suga’ in My Bowl is back on WBAI‘s airwaves on November 1. We’ll also have another edition of “On the Bandstand” online next Sunday with a fresh set of listings. This week’s show is a special fund drive edition. Simply put, listener subscribers and supporters keep us on the air at WBAI radio and give us the opportunity to do what we do to spread the word for the music called jazz. Even a little bit helps; pledging more helps more. Thanks for whatever you can do to keep us rolling along! Now let’s see what’s going on musically this week. The Sun Ra Arkestra directed by Marshall Allen returns to Earth on the 22nd at Brooklyn Bowl. Vocalist Thana Alexa is at 55 Bar on the 22nd. The New York Chapter of the AACM’s monthlong 50th anniversary celebration continues at the Community Church of New York on E 35th St with performances on the 23rd featuring Steve and Iqua Colson and bassist Reggie Workman. The series concludes on the 30th. Percussionist Steve Kroon is at Brooklyn’s Jazz 966 on the 23rd. Drummer/percussionist Bobby Sanabria has a free show at the Bronx Music Heritage Center’s Night of the Living Dead Concert on the 24th and performs with Gene Marlow’s Heritage Ensemble at the Eldridge St. Synagogue on the 25th. Drummer Roy Haynes is at the Blue Note from October 24-25th. Director Carol Bash’s documentary film on pianist Mary Lou Williams, The Lady Who Swings the Band, screens at the ReelSisters film festival on October 25th at LIU’s downtown Brooklyn campus. Saxphonist Ravi Coltrane is at the Rubin Museum on the 25th and Jazz at Lincoln Center’s Dizzy’s Club on the 29th. Vocalist Catherine Russell is at the New Jersey Performing Arts Center in Newark on the 26th. And Columbia University’s Center for Jazz Studies on November 4th, where she’s joined by Columbia University Professor Farah Jasmine Griffin. Looking further ahead, poet jessica Care moore has an album release party at the Blue Note on October 30th. This week’s show highlights the AACM musicians collective. Their 50th anniversary celebration features talks and performances every Friday night in October starting on the 9th at the Community Church of New York on E 35th St. Full schedule and details are at the AACM New York website. Meanwhile, let’s take a look at some upcoming gigs. Bassist Alex Blake is at the Blue Note with vocalist Julie E on September 21. Director Carol Bash is at HarlemStage on the City College of New York campus for a screening of her Mary Lou Williams documentary The Lady Who Swings the Band on September 22. Pianist Geri Allen and Professor Farah Jasmine Griffin will be on hand also for a performance and discussion. Pianist/keyboardist Marc Cary is at Palisades in Brooklyn on September 23. Saxophonist Gary Bartz is at Jazz at Lincoln Center’s Dizzy’s Club from September 23-24. Saxophonist Rene McLean is at Smoke with a Jackie McLean tribute from September 23-24. Drummer Kim Thompson leads a quartet at Zinc Bar on the 24. Drummer/percussionist Bobby Sanabria is at the West Gate Lounge in Nyack NY on the 25th with Larry Harlow’s Latin Legends Band and has a free outdoor show at Pelham Bay Park’s Bartow Pell Mansion in the Bronx at 6 PM on October 2. Percussionist Steve Kroon will be at Brooklyn’s First Baptist Church of Crown Heights for Jazz Vespers with the Jeff King Band on September 27. Drummer Jeff Tain Watts leads a quartet at the Jazz Standard from September 24-27 and returns with Yosvany Terry on October 8-10. Saxophonist Billy Harper is at Jazz at Lincoln Center’s Dizzy’s Club on the 29th with the Josh Evans Big Band for a Roaring Twenties Jazz Age party. Saxophonist Oliver Lake and legendary bassist Reggie Workman at the Blue Note as TRIO3 from September 29-October 1. Pianist Vijay Iyer joins them as a guest on the 30. That’s all for now. Suga’ in My Bowl is back on WBAI‘s airwaves on October 4th. We’ll also have another edition of “On the Bandstand” online next Sunday with a fresh set of listings. Suga’ in My Bowl is off the air this week: we’re back on September 20. If you missed the last show with vocalist Lizz Wright, then head on over to our our audio archives for that and much more. Meanwhile, let’s take a look at some upcoming gigs. Legendary bassist Reggie Workman is at Symphony Space on September 18. Vocalist Carmen Lundy is at Jazz at Lincoln Center’s Dizzy’s Club from September 18-20. Bassist Bob Cranshaw is at Small’s with Joe Farnsworth’s quartet on September 19. Pianist Harold Mabern co-leads a quartet with Eric Alexander at OSPAC in West Orange NJ on September 19. Vocalist Nona Hendryx is at Le Poisson Rouge with Word/Rock/Sword on September 19. Low brass specialist on tuba and trombone Joe Daley is at Terra Blues with Hazmat Modine on September 19. Bassist Christian McBride and guitarist Pat Metheny are at NJPAC for a performance and conversation on September 27. That’s all for now. Suga’ in My Bowl is back on WBAI‘s airwaves on September 20th. We’ll also have another edition of “On the Bandstand” online next Sunday with a fresh set of listings. This week’s show features an interview with WBGO radio host Sheila Anderson! You can see her live at the 92nd St. Y’s Latin on Lex event on the 12th and and hear her from 1-6 AM most Saturday and Sunday mornings on WBGO FM. Meanwhile, let’s take a look at some upcoming gigs. Vocalist Nona Hendryx will be one of many performers at the Schomburg for a Women’s Jazz Festival tribute to her work on March 9th. Guitarist Marc Ribot is at The Stone on March 10th. Columbia University professor and writer Farah Jasmine Griffin will be at the Schomburg for a discussion on African American writers and artists in the 1950s on the 11th. Drummer Bobby Sanabria will be leading Quarteto Aché at Floridita on 125th St in Harlem on the 13th and at Seton Hall University in New Jersey on the 18th. Legendary Drummer Roy Haynes celebrates his 90th birthday from the 13-15th at the Blue Note with special guests sitting in every night including guitarist Pat Metheny and bassist Christian McBride on the 13th! Trombonist Steve Turre will be at Smoke from March 13-15th to celebrate the release of his Spiritman CD. Saxophonist Gary Bartz will lead a Quartet at Kitano on March 14th. Looking ahead, drummer Terri Lyne Carrington’s Grammy Award-winning re-imagination of the Ellington classic Money Jungle will be performed at the Schomburg on March 16th as part of their Women’s Jazz Festival. Finally, drummer Jeff “Tain” Watts is at Birdland with bassist Charnett Moffett’s Network Trio from the 17-21st. That’s all for now. Suga’ in My Bowl is back on WBAI‘s airwaves March 22nd. We’ll also have another edition of “On the Bandstand” online next Sunday with a fresh set of listings. Suga’ in My Bowl is off the air this week. Join us on air next Sunday for our interview with WBGO radio host Sheila Anderson! To get your fix until then, check out our our audio archives. Meanwhile, let’s take a look at some upcoming gigs. Drummer Bobby Sanabria will be at Somethin’ Jazz Club on March 4th with with Gene Marlow’s Heritage Ensemble. You can also catch him leading Quarteto Aché at Floridita on 125th St in Harlem on March 13th. Saxophonist Gary Bartz will lead a Quartet at The Side Door in Old Lyme CT on March 7th. Saxophonist Lakecia Benjamin leads her Soulsquad at Harlem’s Ginny’s Supper Club on March 7th. Low brass specialist on tuba and trombone Joe Daley will be at Terra Blues with Hazmat Modine on March 7th. Pianist Vijay Iyer leads his trio at the Metropolitan Museum of Art‘s Temple of Dendur on March 7th. Drummer Will Calhoun, pianist Randy Weston, saxophonist Oliver Lake, and poet and writer Quincy Troupe will be at MIST in Harlem for a Harlem Arts Salon benefit concert on March 8th. Columbia University professor and writer Farah Jasmine Griffin will be at the Schomburg for a discussion on African American writers and artists in the 1950s on March 11th. Looking ahead, saxophonist Gary Bartz leads a Quartet at Kitano on March 13th. Legendary Drummer Roy Haynes celebrates his 90th birthday from March 13-15th at the Blue Note with special guests sitting in every night including guitarist Pat Metheny and bassist Christian McBride on the 13th! Looking further ahead, drummer Terri Lyne Carrington’s Grammy Award-winning re-imagination of the Ellington classic Money Jungle will be performed at the Schomburg on March 16th as part of their Women’s Jazz Festival. That’s all for now. Suga’ in My Bowl is back on WBAI‘s airwaves March 8. We’ll also have another edition of “On the Bandstand” online next Sunday with a fresh set of listings. This week’s show features an interview with guitarist Marc Ribot. You can catch him at the Village Vanguard on February 11,13,15th. And we have the usual line-up of live music this week. We start with our own event this week: On February 18th “Who Owns Music?” lands at Harlem’s Raw Space for an exciting discussion between bassist William Parker, writer/poet Quincy Troupe, WBGO Radio’s Sheila Anderson, Grammy nominated vocalist René Marie, Ahmed Abdullah, Music director of Sista’s Place and hosted by Suga’ in My Bowl’s Joyce Jones and Hank Williams. It’s a fundraiser for WBAI Radio. Admission is included with a $25 membership pledge to WBAI or $15 at the door. We’ll have more details up on the site soon. Professor Michele Wallace will host a screening and discussion on the 100th anniversary of the Birth of a Nation film at NYU’s Gallatin School on February 9th. Pianist Geri Allen will be at Columbia University’s Miller Theater on February 12th for a musical tribute to the visual artist Romare Bearden. She’ll also be part of a pre-concert discussion with Columbia University Professor Robert O’Meally. Saxophonist Lakecia Benjamin leads her Soulsquad at Minton’s on February 12th. Organist John Medeski is at the Village Vanguard on February 12th. Vocalist Diane Schuur will be at Iridium on February 13th – 15th. Vocalist Dianne Reeves will be at Jazz at Lincoln Center’s Rose Theater on February 13th and 14th. Pianist Marc Cary‘s residency at the Cell Theatre continues with late sets on February 14th and 21st. Harpist Brandee Younger is also at the Cell Theatre with a quartet for the late set on February 14th. Poet Sonia Sanchez will be appearing at an event honoring Malcolm X at Harlem’s Shabazz Center (formerly the Audubon Ballroom) on February 14th. Professors Farah Jasmine Griffin and Robert O’Meally will be at Barnard College’s Diana Hall on February 14th for a discussion on Bessie Smith. It’s just one event in a larger symposium on the Blues at Barnard. Admission’s free, but reservations are recommended since space is filling up fast. Vocalist Catherine Russell has two upcoming New Jersey shows. You can catch her at William Paterson University’s Shea Performing Arts Center in Wayne NJ on the 14th or Nico’s Kitchen and Bar in Newark NJ for a jazz brunch on the 22nd. Trombonist Craig Harris presents “Brown Butterfly”, a Muhammad Ali tribute, at Harlem’s Mt. Morris Ascension Presbyterian Church at 3 PM on February 15th. Looking ahead, Carl Hancock Rux’s play “Stranger on Earth” based on writer James Baldwin’s words has shows at HarlemStage on the City College of New York’s campus on February 19-20. Art Historian Kellie Jones will be at Columbia University’s Low Library in the morning of February 21st for a panel discussion on Romare Bearden’s “Odyssey”. Lastly, pianist Harold Mabern will be at Smoke for the New Drum Battle on February 20th-22nd. That’s all for now. With our biweekly schedule, Suga’ in My Bowl is back on WBAI airwaves February 22nd. We’ll also have another edition of “On the Bandstand” online next Sunday with a fresh set of listings. This week’s show features an interview with pianist Geri Allen done by special guest co-host Columbia University’s Dr. Farah Jasmine Griffin. See her this week at the memorial for bassist Charlie Haden (details below). This (nearly) wraps up our coverage on the 2015 Winter Jazz Fest. Check back later this week for a review and scroll down the page for our cheat sheet and preview of the festival. And we have other live music this week. There will be a memorial for the late saxophonist Will Connell on the 12th at The Jazz Church, St. Peter’s. Saxophonist Oliver Lake, multi-instrumentalist Charles Gayle, and trombonist Craig Harris will be just a few of the many artists performing appearing at the memorial. You are all cordially invited …. The big news is a memorial and celebration of the life of the late bassist Charlie Haden; at the Town Hall on January 13th with Ruth Cameron-Haden, Pat Metheny, Brandee Younger, low bass specialist Joe Daley, pianist Geri Allen, and many more. Admission is free, but organizers will take donations for the Haden CalArts Scholarship fund to help music students. They also recommend arriving early, since space is limited and it will start and end on time. It’s the very last call for reservations to see vocalist Catherine Russell and master drummer Michael Carvin at Mohonk Mountain House’s Jazz on the Mountain from January 16-19th. 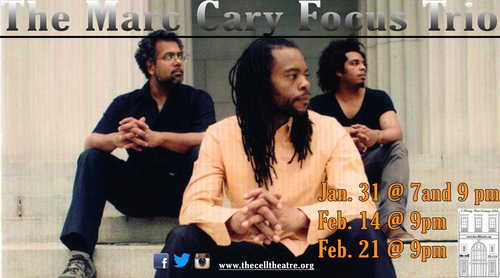 Pianist Marc Cary returns to the Cell Theatre with his Focus trio on January 17th. Dr. Leonard Jeffries will have a birthday celebration on the 18th at Harlem’s National Black Theater from 4-9 PM. Admission’s free, but be prepared to make a donation. Call 201-837-1355 for details and or see the event’s poster (opens as a photo) on Facebook. The Arts for Art organization (promoters of the annual Vision Fest) will have an artist response to the Black Lives Matter movement from the 23rd to 30th at Clemente Soto Velez Center on the Lower East Side. Dancer Patricia Nicholson Parker will be among the many artists and performers there. Finally, looking even further ahead, saxophonist Pharoah Sanders will be at Jazz at Lincoln Center’s Dizzy’s Club from January 29th to February 1st. That’s all for now. Suga’ in My Bowl is back on WBAI next week, January 11th. We’ll have another edition of “On the Bandstand” on air and online next Sunday with a fresh set of listings.